A Dell Inspiron laptop was charging on a sofa when it burst into flames. Its owner, 18-year-old Devon Johnson of Thousand Oaks, California, tried to douse the flames Then he took the laptop outside. It burst into flames again. And again. And again. Luckily, he didn't suffer injury. Can it be that a Dell computer could do this? On Tuesday, Dell told me that it would examine the laptop. The company has now done so and offered this statement: "The battery involved was not manufactured by Dell and was not an authentic Dell battery. 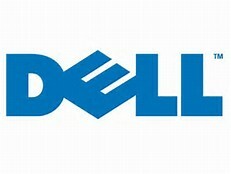 Dell batteries contain Dell intellectual property that helps ensure safety. More Technically Incorrect Dell added that it's important for people to understand that "incompatible, counterfeit or third-party batteries" could compromise the safety of its computers and raise the risk of an incident. Johnson didn't immediately respond to a request for comment. It's always worth ensuring that the accessories you use with your gadgets are legitimate. Manufacturers are becoming even more aggressive about pursuing those who peddle inferior and dangerous products so be careful out there when getting a non recommendable battery for you laptops .